A happy family celebrates the eight nights of Hanukkah by lighting candles, eating latkes, and playing dreidel. Kids can also learn to count to eight as the candles are lit. 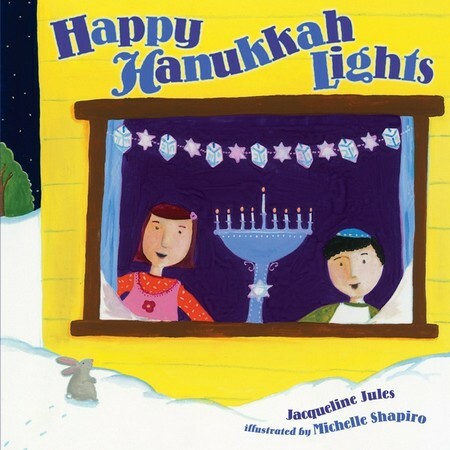 Award-winning author Jacqueline Jules combines rhyme, counting, and Jewish traditions for a happy Hanukkah tale for preschoolers. Cheery illustrations by Michelle Shapiro compliment the simple text.